Doug has worked in the fields of accounting, auditing, management consulting, and taxation/litigation support since 1978. He has worked with individuals, businesses, and non-profit and governmental entities. Through his work, Doug has gained extensive knowledge of real estate, professional service businesses, retail, high-tech industries, non-profit accounting, political organizations, investment companies, and real estate management and development firms. 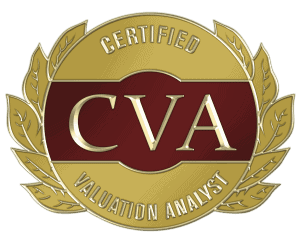 Doug is a certified valuation analyst (CVA) and has completed business valuations on various business entities. He has been designated as an expert witness for domestic relations and civil cases in Montgomery County and Prince Georges County, Maryland, and in the District of Columbia. Doug is a master analyst in financial forensics (MAFF), a chartered global management accountant (CGMA), and is licensed as a life and health insurance agent. Doug is the global chairman of Integra International and a board member of Integra International’s AAA Division. Doug previously served as the president of the Make-A-Wish Foundation of the Mid-Atlantic, Inc., and was the treasurer of the Rockville Chamber of Commerce. He is currently the treasurer of NAIOP Maryland/DC, a member of the workforce committee of the Greater Washington Board of Trade, and is also serving on the boards of other local business and civic associations. Doug is a member of both the American Institute of Certified Public Accountants (AICPA), the Maryland Association of Certified Public Accountants (MACPA), and the National Association of Certified Valuation Analysts (NACVA). Doug is the managing director of Glass Jacobson’s Washington DC/Rockville office. Doug was awarded the 2017 Integra International Richard Glickman Visionary Award.